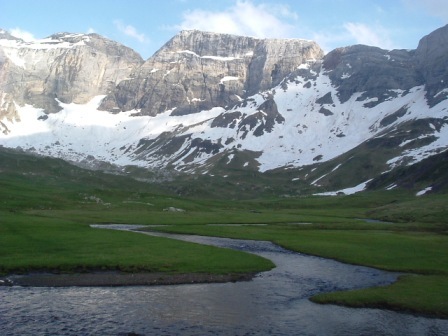 There is an excellent road network in the high valleys of the Central Pyrenees thanks to the construction of the hydroelectricity scheme in the 1950s and the ski stations in the late 1970s. These roads allow you to gain significant altitude prior to starting your walks, and to reach sites in a relatively easy day walk previously accessible only in a very long day or with an overnight stay. 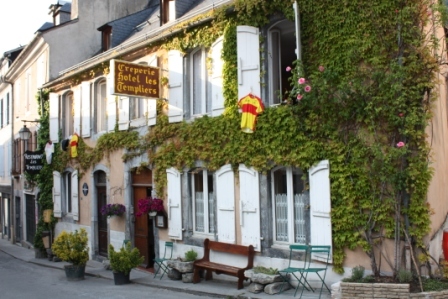 You will be comfortably lodged in Hotel Les Templiers (Luz), or an apartment in either Luz St Sauveur or Barèges and set out from your base each day for a new adventure. If you dream of to being 'up high', but do not want to tackle 1000m of ascent each day then this holiday is for you. You will encounter a range of high mountain landscapes with glacial cirques (corries), high mountain lakes and high passes, and a very accessible summit. These walks are generally easier than the Eco Independent Walks because the roads take you up out of the valley floor, often the steepest section, to where the mountains begin to plateau out higher up. Price: 60€pp/day Bed & breakfast twin share accommodation in Hotel Les Templiers, maps, notes and advice. Note that there are a large number of dinner options in and around Luz - we are happy to book a table for you each evening and provide advice on where to eat - a different restaurant each night if you would like! Optional: picnic 7€pp, single room supplement 25€. Dates: June – October 2018. Contact: Sian. Total for Seven Days: with seven breakfasts and six picnics = 462€pp twin share. Ascent is 300-500m each day (easy-moderate), with more challenging itineraries possible if desired. 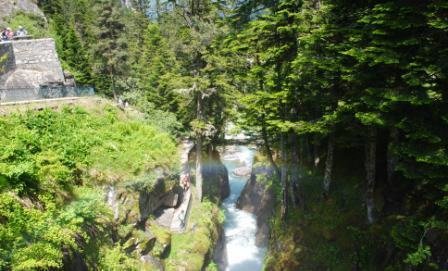 Day One: Choose either the beautiful Aygues Cluses valley with its meandering river, or the slightly steeper ascent to Ets Coubous, the bottom lake of a series of four - both provide you with a warm up in the lovely pine forested landscape of the Néouvielle Nature Reserve. There is a botanical garden at the starting point of the walk, a good place to visit at the end of the day should you have time. 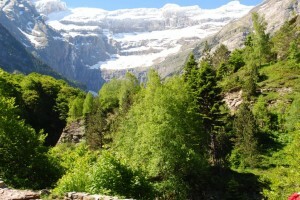 Day Two: The Gavarnie Cirque is the most well known site in the Central Pyrenees, with the village being the home of mountaineering in the Pyrenees. Its near perfect semi-circular formation provoked Victor Hugo to call it Nature's Colosseum. We provide you with different walking options depending on how energetic you are feeling. Day Three: Walk up the Barrada Valley to find the beautiful and secluded Cirque de Lys. This less visited cirque is hidden up behind the Pyrenees' largest hydro-electric power station and a visit to this is an interesting end to the day. 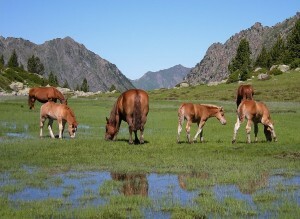 Day Four: From the Pont d'Espagne walk up to the Lac de Gaube for a day out in the neighbouring Cauterets Valley. Walk from the spectacular waterfall to one of the largest natural lakes in the Pyrenees and on further to the Oulettes Refuge should you choose. Day Five: The Troumouse Cirque is a favourite with everyone who walks here. It is less famous than Gavarnie but somehow more mystical with its high plateau and small lakes... Very good for either a strenuous walk starting from Héas, or drive higher to the plateau for a gentle stroll on the plateau. Day Six: The Gloriettes Dam is at the mouth of the Estaubé Cirque and provides a spectacular starting point for your walk. Finish the week by discovering the last of the three cirques in the World Heritage Area. Again there are energetic and stroll options. Why stay with us? When you want to make the most of your holiday local knowledge is indispensable. What is the best walk to do each day if the conditions change? If the cloud level is low, where do you go to be above it in the glorious sunshine? Fancy a day sightseeing with a shorter walk? Each day we discuss the weather for the coming days, and how you are feeling in order to suggest an appropriate walk for the following day. In the morning we check the weather again, various webcams, and use our 10 years of experience living and walking here to suggest the optimal itinerary for the day. The options a endless - and our advice means you find the best one for you every day of your holiday. See Equipment and Packing Ideas.